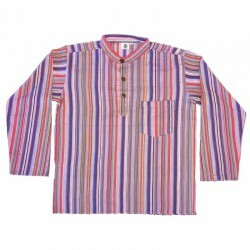 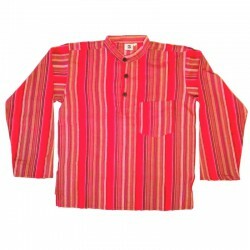 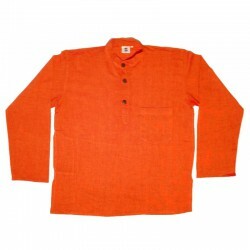 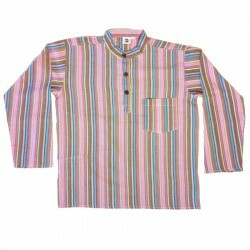 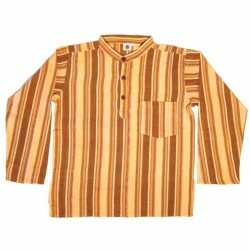 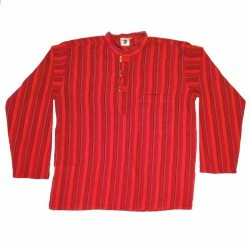 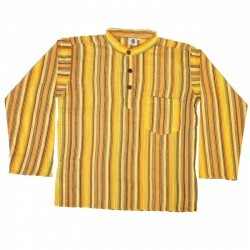 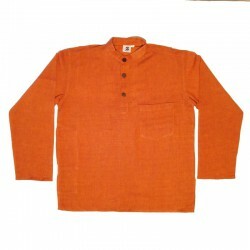 Ethnic shirt in red, black and maroon stripped cotton, long sleeves, men's clothes handmade in Nepal of excellent quality. 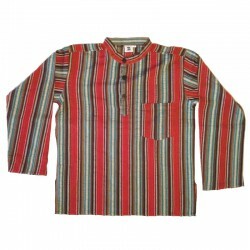 Col Mao, 3 wooden buttons, 1 chest pocket and 1 on the side. Wash separately in cold water the first time, then washing machine at 30°.